When choosing an agent, the most important question to ask yourself is this: 'Which agent will get the best result for me?' Ask Your Move to value your home. How much will this move cost? Add up the estate agent fees, legal fees, removals and all other costs associated with your move. Do this now so that there are no nasty surprises further down the line. Your Move has a team of Financial Consultants who are ready to help you calculate these costs. It is a legal requirement that all properties in England and Wales are marketed with an Energy Performance Certificate (EPC) which gives your property an energy efficiency rating. Your Move can organise this for you. Find out more about EPCs. It’s time to get the property details just right. Your Move will send a professional photographer to your property, so stage your home to look its best. Next, work with your agent to pick the very best images. Your Move will send you a fantastic set of digitally enhanced photographs to choose from. Almost all buyers now start their property search online, so make sure you’re making the most of the internet. You should expect your agent to list your property on Rightmove and Zoopla as a bare minimum. Your Move will also give you advanced web positioning on property portals. These help to make your property stand out during those all important first few days on the market. Finally, don’t forget to share your property from your own Facebook and Twitter profiles. You want potential buyers to be able to imagine themselves in your home. The three most common things that put off buyers are dirty kitchens, scruffy exteriors and dirty bathrooms. Think back to all the things that made you fall in love with the property and the area too. Make a list so you can be sure to point these out to potential buyers. Tips on preparing for a viewing. Potential buyers will visit your home. You may choose to show them around yourself, or ask your estate agent to conduct the viewing. Potential buyers will want to see every part of your property, so be prepared to show them inside storage spaces like cupboards and lofts. Make sure your agent gives you thorough feedback after every viewing. You will be notified of offers by phone and in writing. Consider the amount you are being offered, the financial position of the buyers, their chain if they are selling another property, and your own timescales. ‘Conveyancing’ sounds like boring legal stuff, but it’s essential. It’s the legal transfer of your property to the buyer. It can be a confusing process and you need a solicitor to deal with this for you. 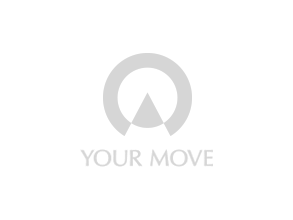 Your Move can introduce you to a solicitor and offer a no sale no fee conveyancing service with a guaranteed fixed price to keep everything easy. Learn more about conveyancing. The solicitors for both parties will confirm that the sale is agreed, subject to contract. You will receive a Memorandum of Sale, but at this stage either party can still withdraw without penalty. The buyer will arrange a house survey. Your buyer’s survey will arrange an appointment, and the results will be sent to your buyer. The five key things a surveyor will be looking for are problems with utilities, damp, cracking, problems with roofs, and timber defects. In addition to the house survey, the buyer’s mortgage lender will arrange a valuation to confirm that the property is worth what they are being loaned. Your solicitor drafts the contract. You will need to pass the title deeds for the property to your solicitor, along with a Property Information Form. Your solicitor will then draw up a contract. This will be sent to the buyer’s solicitor. The buyer’s solicitor will confirm the details of the property. The buyer’s solicitor will contact your solicitor to confirm exactly what is included in the sale. The buyer’s solicitor will be asking about things like the boundaries, any disputes and any alterations that have been made. The buyer’s solicitor will perform searches. The buyer’s solicitor will perform searches of Land Registry and Local Authority information. They will be checking for planning history, and any potential developments around roads, drainage and mining near the property. Your solicitor will advise you when it’s time to sign on the dotted line. Your solicitor and the buyer’s solicitor will agree a date for the exchange of contracts and for completion (ie move out day). It’s a good time to start getting quotes for removals too as you can set a provisional moving day. Your solicitor will receive the buyer’s deposit along with the signed contract. Both parties are now legally bound to the purchase. It’s time to contact your chosen removal company to confirm your move. And it’s time to start the dreaded packing too! Advise everyone of your change of address. You’ll need to inform all your utility companies who will need to take meter readings and cancel contracts. And don’t forget everyone else who needs to know – the bank, your employer, family and friends. If necessary, the Royal Mail can organise a mail redirection. Payment is made between each party’s solicitors and the keys are exchanged. It’s all over and the house is sold. High five!